Proprietary cartridge: Can only be used with Pax Era Device. 500mg Cannatonic. 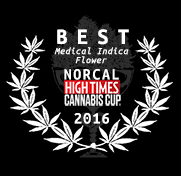 JAHnetics.com fast discreet delivery service brings San Francisco an exclusive award winning menu of premium Medical Marijuana.